Our wide range of bathroom products offers a solution to almost all of the everyday issues you can find in the bathroom if you have reduced or limited mobility. Fall prevention and the retention of bathroom privacy and independence are key to us all. The following products are our top 10 bathroom sellers. Bath, shower and toilet grab rails. One of the keys to bathroom safety is balance. By maintaining your balance, you are less likely to slip or trip and can prevent bad falls. A properly installed grab rail can provide balance assistance exactly where you need it. For a walk in shower a shower stool or chair allows users to sit down and bathe with ease. For safe bathing in the bath a bath chair or stool can help to make it easier to sit down in the bath. A long armed sponge can help with washing if you have reduced mobility. A toilet frame has armrest on each side to give you added support when sitting down and getting up from your toilet. For transferring into the bath a transfer board can help and again avoid slips and falls. A bath step offers a helping hand getting in and out of the bath. The simple addition of a raised toilet seat can dramatically relieve the strain of sitting on or standing up from the toilet. 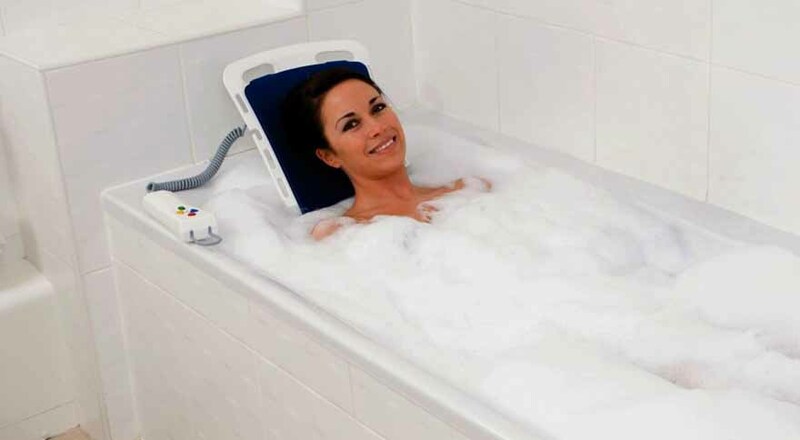 For the ultimate in bathing safety a bath lift is a quick and simple solution. Commodes are ideal for anyone who is bedbound or needs a toilet solution nearby or downstairs to reduce walking distance.